The latest tOPICS paper is on ‘Resilience’ (opens in a new window)(PDF, 923KB) and is authored by Philippa Collin, Louise Crabtree, Stephen Healy and Paul James (Institute for Culture and Society, Western Sydney University) and Simone Fullagar (University of Bath). Asian migration and mobilities are transforming education cultures in the Anglosphere, prompting mounting debates about ‘tiger mothers’ and ‘dragon children’, and competition and segregation in Anglosphere schools. This book (opens in a new window)challenges the cultural essentialism which prevails in much academic and popular discussion of ‘Asian success’ and in relation to Asian education mobilities. As anxiety and aspiration within these spaces are increasingly ethnicised, the children of Asian migrants are both admired and resented for their educational success. 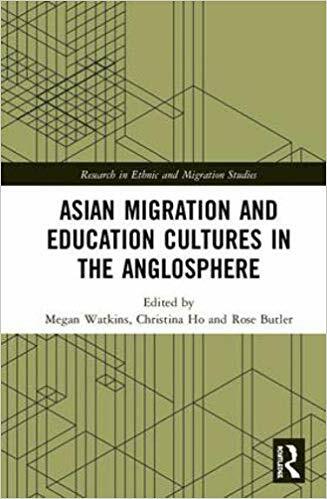 This book explores popular perceptions of Asian migrant families through in-depth empirically informed accounts on the broader economic, social, historical and geo-political contexts within which education cultures are produced. This includes contributions from academics on global markets and national policies around migration and education, classed trajectories and articulations, local formations of ‘ethnic capital’, and transnational assemblages that produce education and mobility as means for social advancement. At a time when our schooling systems and communities are undergoing rapid transformations as a result of increasing global mobility, this book is a unique and important contribution to an issue of pressing significance. This book was originally published as a special issue of the Journal of Ethnic and Migration Studies. By the early 21st century, however, these spatial and cultural constructions of Chinatown as an ‘other’ space – whether negative or positive – have been thoroughly destabilised by the impacts of accelerating globalisation and transnational migration. 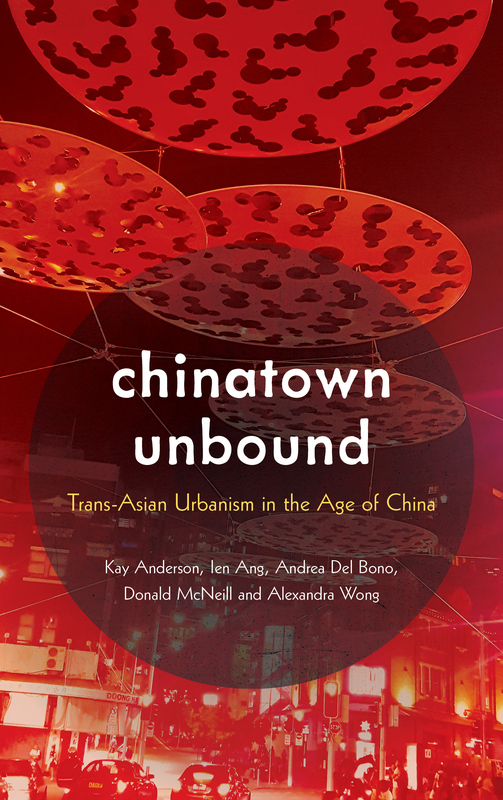 This book (opens in a new window)provides a timely and much-needed paradigm shift in this regard, through an in-depth case study of Sydney’s Chinatown. It speaks to the growing multilateral connections that link Australia and Asia (and especially China) together; not just economically, but also socially and culturally, as a consequence of increasing transnational flows of people, money, ideas and things. Further, the book elicits a particular sense of a place in Sydney’s Chinatown: that of an inter-connected world in which Western and Asian realms inhabit each other, and in which the orientalist legacy is being reconfigured in new deployments and more complex delimitations. As such, Chinatown Unbound engages with, and contributes to making sense of, the epochal shift in the global balance of power towards Asia, especially China. We live in a time of rising anti-immigrant fervour and attacks on multiculturalism. As Stuart Hall argued over twenty years ago, the capacity to live with difference is the pressing issue of our time. This is true perhaps now more than ever. 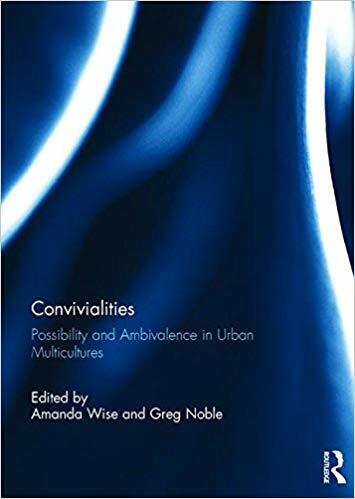 This collection (opens in a new window)takes a critical look at the ‘conviviality turn’ in our understanding of coexistence and urban multiculture. Drawing on case studies out of the UK, Europe, Australia and Canada, contributors to this collection explore the practices and dispositions of everyday people who negotiate a ‘shared life’ in their culturally diverse neighbourhoods and communities, and the complexities and ambivalences that make up ‘living together’. Chapters focus on spaces of encounter, navigations of friendship and humour across difference, and the networks of hope and care that exist alongside experiences of racism. A theme of the book is that we live neither in a world where convivial multiculture has been accomplished nor one where it has been lost: it is, as it must be, a work in progress. This book was originally published as a special issue of the Journal of Intercultural Studies. To mark 20 years since Princess Diana's death, ICS is giving away limited copies of Planet Diana: Cultural Studies and Global Mourning, edited by ICS researcher Prof. Ien Ang with contributions from ICS Adjunct Zoe Sofoulis. Email our office(opens in a new window) for a free copy of the book. Read the latest papers in tOPICS.